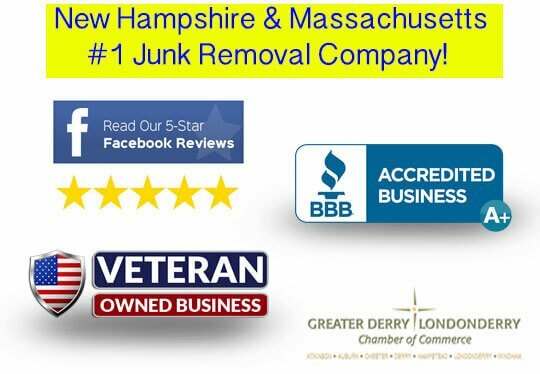 We are a local, veteran owned, junk removal company that serves all of New Hampshire. We specialize in providing full service junk removal services and whole house clean out services at the lowest price you will find compared to other local and national junk removal companies. We provide excellent customer service that is visible in our outstanding reviews on Google, our Facebook page, and here on our website. Guaranteed to be the lowest price you will find to have all of your junk, debris, and trash removed, hauled away, and disposed of. We do all the work all you have to do is point and we remove it from where it sits. No cookie cutter pricing here we discount our pricing if we have a truck in your area or if there are items we can donate, recycle, or resell! 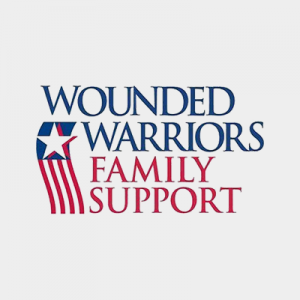 We are Veteran owned and a member of the Better Business Bureau and our service is on a level you simply do not typically experience now a days. Us vs Them: Why Our Junk Removal Pricing Rocks! Unlike the Corporate cookie cutters out there and those that try to copy them, we do things differently here so we can give you the best quality service for the absolute best price you will find, the true meaning of value. We also care about the environment and believe it or not both are related on this topic. Most other junk removal companies will give you set pricing based on how much of their truck you fill up. They act like this is a good thing, when in actuality it doesn't make any sense. 1. They don't care whats in the load because they're dumping everything therefore the cost IS the same as if a load was all junk. This clearly doesn't make sense for two reasons. Why throw away perfectly good items? It fills up landfills and doesn't allow for a customer to get a fair price based on what they're getting rid of. 2. They do care and aren't dumping the items and profiting more off jobs that cost less to dump instead of passing the savings on to you the customer, the rightful owner of that extra profit they're keeping for themselves. At Trash Can Willys we give a guesstimate over the phone as to how much a standard size load costs to dispose of, but once we are onsite the crew further evaluates what needs to go, taking note of items we can recycle, resell or donate. This typically results in our customers saving a minimum of 30% by using us over other competitors and the first reason our pricing rocks! 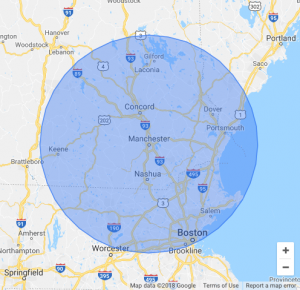 Most of the other junk removal companies in the Framingham, Boston, Worcester area also all use the same size trucks. These trucks are not large AT ALL. They measure 10 feet long, by 6.5 feet wide and can only be piled about 5 feet tall. Our trucks are almost 2.5 times the size of their trucks, this means we can do more jobs than they can before we have to dump. Less dumps, results in less labor hours to dispose of the same amount of junk. This savings (lower labor cost) is then passed on to you our customer by making our pricing that much more affordable. One more reason why our Pricing Rocks! Finally, chains and franchises like 1800 Got Junk have to pay franchise fee's, these fees are ultimately passed on to you the customer in the price you pay to have your junk removed. At Trash Can Willys there are no franchise fees or some big honcho of a cooperation sitting around on a yacht all day, our owner works for a living and the main goal is to help reduce our operating expenses to ultimately pass those savings along to you our customer and is just one more reason why our Pricing Rocks! Trash Can Willy's is by far the BEST Junk Removal company in the business. Matt, Frank and the guys made me feel like family and there was nothing too big or too heavy for them to remove. I inherited a self-storage facility that needed a major cleanup. They removed 3 abandoned boats on trailers, 10 units of furniture and household items, piles of junk and mounds of trash. They were timely, professional and left my property sparkling. Can't thank them enough for all their hard work and attention to detail. Love, love, love them. Even gave me a discount for having them do the entire project. I HIGHLY RECOMMENDED TRASH CAN WILLY!! This was our first experience with Trash Can Willy's and I was very happy with the service. We had a couch and love seat that we needed removed. They were incredibly heavy because they were both recliners with the metal reclining mechanisms. It was very easy to set an appointment and getting an estimate. The guys arrived on time and were very efficient and friendly. Great service, we will definitely use them again! We had a great experience, from start to finish. We got a very accurate estimate by phone. Tom and Brendan arrived right on time and were extremely efficient and conscientious throughout the whole process. They were able to load everything we needed to dispose of and were respectful of how difficult it can be to give away things that at one time held great meaning. We will definitely use them again! I found this to be a very forthright company: no surprises. Their website and communication with us was thorough, we had a phone call the day of delivery to let us know they were on their way, and the pick-up was timely. Good price, good service. I would certainly rent a dumpster from them again. Great experience with Trash Can Willy. Angel and Joe were prompt in their arrival. They looked over the situation here, gave us a cost for the removal, and proceeded to work. They removed lots of junk we had collected and also removed an 8x8 metal shed. Angel and Joe were personable and courteous and professional. Really enjoyed having them here at the house to do the removals. Angel and Joe called to see if they could come earlier for my furniture pickup which worked great for me. They were extremely polite and courteous. I will be sure to recommend their service to all my friends!